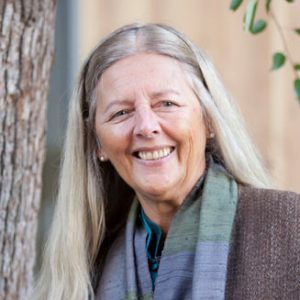 Helena Norberg-Hodge is the founder and director of Local Futures/International Society for Ecology and Culture (ISEC) and The International Alliance for Localization (IAL). Based in the US and UK, with subsidiaries in Germany and Australia, Local Futures examines the root causes of our current social and environmental crises while promoting more sustainable and equitable patterns of living in both North and South. Its mission is to protect and renew well-being by promoting a systemic shift away from economic globalization toward localization. Her book Ancient Futures: Learning from Ladakh has been described as an inspirational classic, providing insightful solutions to the unintended impacts of development, based on her decades living and working in Ladakh, India. Together with the film of the same title, it has been translated into more than 40 languages and has sold about half a million copies. She is also the producer and co-director of the award-winning film The Economics of Happiness and the co-author of Bringing the Food Economy Home and From the Ground Up: Rethinking Industrial Agriculture. A linguist by training, she speaks seven languages and was the first outsider in modern times to master the ancient Tibetan dialect of Ladakh. Since 1975 she has worked with the people of Ladakh, or “Little Tibet”, to find ways of enabling their culture to meet the modern world without sacrificing social and ecological values. For these efforts she was awarded the Right Livelihood Award, or ‘Alternative Nobel Prize’. She was awarded the prestigious Goi Peace Prize in 2012. Norberg-Hodge is also a founding member of the International Commission on the Future of Food and Agriculture, the International Forum on Globalization, and the Global Ecovillage Network. Contact Helena Norberg-Hodge about speaking terms and dates.